While perusing through the different sections of SLAM for an artifact of interest, I didn’t have to search too hard. This museum is full of artifacts that range in various purposes from clothing to hunting to recreation which make it easy to find something designed for a fascinating purpose. While in the Arctic section of SLAM, I came across a few bows. They caught my eye from across the room. I have a respect for older weaponry such as, cannons, knives, swords, lances, and in this case bows. 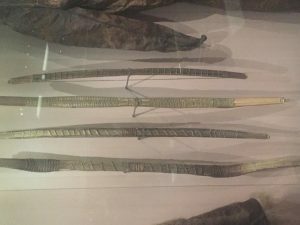 Unfortunately, there was no information on what the bows were made of or the year of creation, but there was information on the use of bows by the Inupiaq, Yup’ik, and Siberian Yupik peoples. 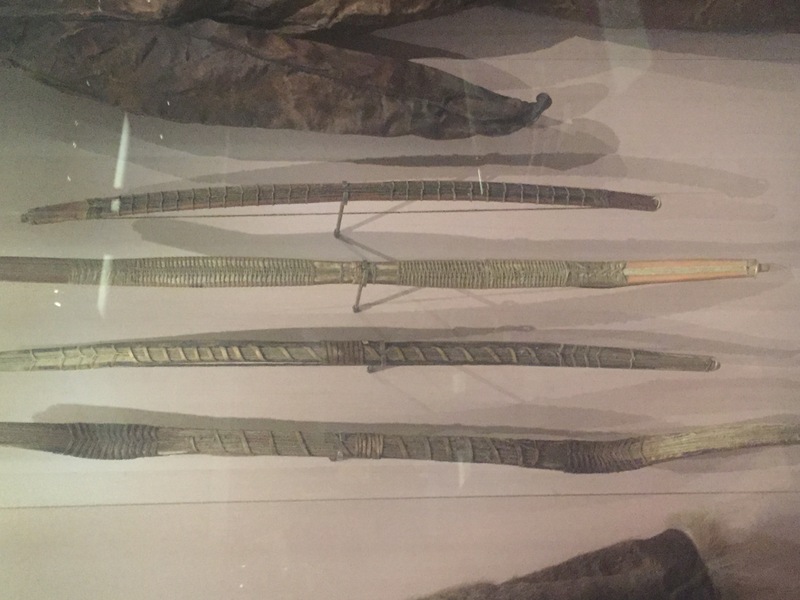 These types of bows were used for hunting caribou, that travel in herds, while they were crossing rivers. The hides from the caribou provide the native people clothing, sleeping bags, tents, and boots.